Manchester City opened the defense of their English Premier League title with a commanding 2-0 win over Arsenal in a season opener for both teams at Emirates Stadium on Sunday. 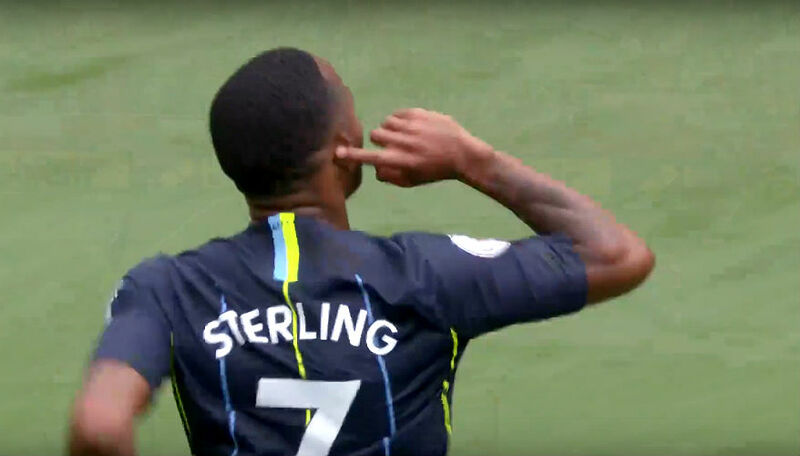 Raheem Sterling silenced the majority of the almost 60,000 fans at the Emirates when he opened the scoring for Manchester City in the 14th minute. The England international fired City into what was a deserving lead when he shifted past Hector Bellerin and Matteo Guendouzi and beating Petr Cech with his 50th Premier League goal. Bernardo Silva wrapped up the win with an excellent strike on 64 minutes to earn the three points for the Citizens and handed Unai Emery a defeat on debut as the new Arsenal manager. “Our average level is high, we cannot deny that. I’ve said many times I have the feeling we can improve,” said Manchester City boss Pep Guardiola. Meanwhile, Arsenal boss Emery said: “Manchester City’s performance showed us that we need to continue the process of improving. They deserved the result. “We are a new team [that needs] to improve. For me today, I was frustrated that we lost but it is also one more experience and continued progression,” he added.